Spice up Your Nights in NYC! Picture it: You only have three days to see as much of New York as possible. Where do you start? Do you hit Times Square or do you lay low and live like a local? If you’re not sure, we’ve got you covered! By far, the best way to see New York City is by air. See Lady Liberty up close while you sit back in one of our comfortable, state-of-the-art airplanes. 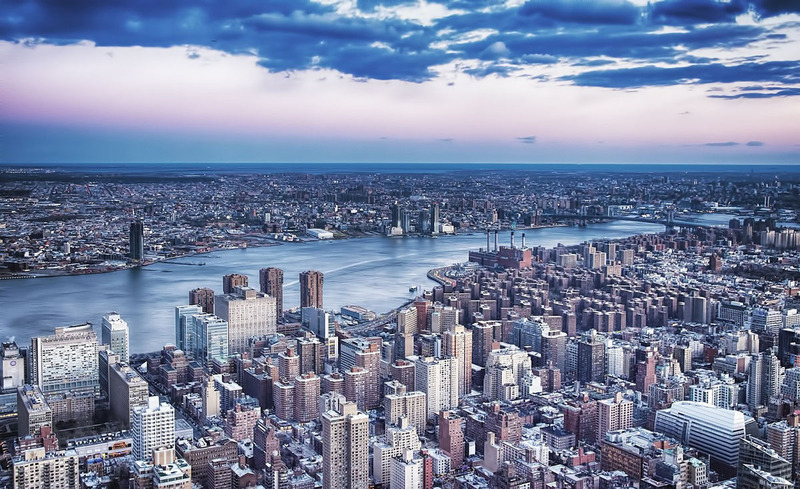 Tour the Manhattan skyline as the sun sets for an unparalleled view of the Big Apple. A private airplane tour allows you to see New York from every angle. What could be more enchanting than a 360-degree view of the Big Apple? The three main skyscrapers in the city are open until midnight or later. The Empire State Building, Top of the Rock and the World Trade Center offer breathtaking views of the city. Knock down some pins with besties while the DJ spins the records. Located near Times Square, Lucky Strike is home to 26 bowling lanes, billiards and a smorgasbord of edibles. If you want to live like a rockstar and rent out the Luxe Room. With your own private entrance and dedicated bar, you can rock the night away in style. With warmer temperatures fast approaching, what could be better than grabbing a cold beer in one of the hippest zones in town? Head over to Alphabet City where you’ll find over 350 varieties of bottled beer and 12 exclusive varieties on tap for the taking. No trip to New York would be complete without a Broadway show or play. And don’t think that you need to pay full price for your tickets either. There are a lot of ways of score discounted tickets for your favorite musical. If Broadway musicals aren’t your thing, why not spend the evening busting a stitch? Ther are tons of comedy clubs in New York. For instance, the Comedy Cellar boosts delicious cocktails with major headliners who take the stage in two rooms with five shows each night. Built on a historic freight railroad, the High Line is an elevated park that runs along the West Side of Manhattan. Sunset is the perfect time to head over and snap a few Instagram-worthy shots. Everyone knows that New York City is synonymous with pizza, so it’s impossible to visit the Big Apple and not have a slice of authentic New York pizza. The question is, where do you find it? Regardless of which zone you’re in, you can find a pizza place on just about every corner. If you want to sit inside and savor the pie after exploring, check out of these family-style pizzerias in Little Italy. If you’re on the go, keep your eyes peeled for pizza-by-the-slice joints. For only a buck or two, you can nosh like a local and still have money left to hit happy hour. Walking across the Brooklyn Bridge is one of the best night tours you can ever take. Breathtaking views are yours for the having while you have a leisurely stroll to and from the ever-so-hip zone of Brooklyn. After the daily hustle and bustle of city slows down, why not take a tour of the Big Apple on foot? Stroll down to Bryant Park at sunset and then head over to the Top of the Rock for a mesmerizing view of Manhattan. Here, you can kick back and watch the world go by. Thanks to Netflix, going to the movies doesn’t seem as magical has it did before. Fortunately, catching a flick at the NiteHawk Cinema may restore your faith in going to the movies. Located in Williamsburg, this dine-in theater is worth the subway ride. Word to the wise: go hungry. Nitehawk’s menu is loaded with all of the traditional movie goodies, in addition to tasty tidbits that will leave you licking your lips! If you’re feeling artsy, why not tour the Metropolitan Museum of Art? The Met on Fifth Avenue is home to 5,000 years of art, which spans numerous time periods and cultures. Depending on which time you go, you may even be privy to free admission. Shopping and eating take a lot out of you, so finding a spot where you can chill is mandatory. Located at 149 Essex Street, Chill House embodies all things chill with colorful lattes, serenity-inducing massages and aesthetics that will make you swoon. Finding fun things to do in New York is easy. If you love all things film, head to the Tribeca Film Festival where you can view everything from independent Indie films to the latest and greatest from Robert Di Nero. Click here to find out more information. Whether you shake your rump and bust a move, Bossa Nova in Bushwick is the place to do it. This trendy hotspot is a staple in Bushwick’s party scene. Home to some of the best underground and techno beats, DJs spin the tunes until the wee hours of the morning for your dancing pleasure. For those who love a good read, head over to The Strand. Open until 10 p.m., you can browse aisles of collectible books, DVDs and vinyls. Check out their website for all of the current happenings this month. If your sweet tooth gets the best of you, downing a box of Skittles just won’t do. ChickaLicious is the ultimate experience for dessert lovers. Sit front and center and watch the pastry chefs work their magic. Even though these itsy-bitsy desserts are on the pricier side, their decadence makes it worth it. After you’ve shopped until you’ve dropped, but still want to see NYC at dusk, why not take an chartered boat tour? Cruise down the Hudson and see the cityscape all aglow as night falls. Imagine capturing the sun going down behind the city skyline while you sip a glass of bubbly. Oh, how sweet life can be! If you’ve always wondered what it felt to be an A-list celebrity, now is your chance! Only in New York can you take a chauffeur-driven limousine tour of the hottest clubs in town! Or, cruise down Fifth Avenue while sipping the finest champagne and make your friends green with envy. Although usually the brunt of jokes, bus tours have come a long way. In New York City, you can ride in style on a double-decker bus while you see all of the historical landmarks Manhattan has to offer including Columbus Circle, Washington Square, St. Patrick’s Cathedral and of course, the Empire State Building. Since most bus tours are hop on and hop off, it’s easy to jump off for a quick bite! If you adore flowers, then you don’t want to miss the Orchid Show, which runs through April 22, 2018. Designed by Belgian floral artist Daniel Ost, this year’s event celebrates the complex beauty of the orchids. Make sure you bring your camera to take envy-inducing snaps for your Instagram! Spend the evening soaking Japanese culture in Central Park with live performances and various activity tents! This massive cultural event should be at the top of your things to do list in New York! Just make sure you leave room to nosh on all of the tasty bites that await you in the park. Your mom has been there since the beginning, so it’s only natural you want to pay homage to her. If you’re looking for fun activities for spend Mother’s Day, look no more. From scrumptious brunches to shopping on Fifth Avenue, the world is your oyster. Head uptown to a quaint bistro or play tourist in Midtown while you sip espresso and go window shopping at Bloomingdales. Just because you’re in the city doesn’t mean you can’t go golfing. Head over to Shipwrecked Mini Golf Course in Brooklyn where you can perfect your swing in this 18-hole golf course. Theatrics and special lighting make this golf trip anything but boring! Catch a cab to the Upper East Side and learn all of the things your history teacher never taught you. Laugh your way through a Museum Hack tour and learn about the never-before-spoken taboos throughout history. If you’re always up for a challenge, Mystery Room NYC is ready for you! Put your mad skills to good use and figure out clues to escape a locked room before your time is up! Our night tours comfortably accommodate small groups up to five people. By air, by land or by sea, exploring the Big Apple never gets boring. So, whether you’re only in town for a few days or a die-hard New Yorker looking for fun activities to do, rest assured you’ll never get bored in the city that never sleeps! Call today to reserve your private airplane tour and let us show you the city that never sleeps. The 35 Unique and Coolest Things To Do in NYC Right Now! Our goal is to make your time with us an unforgettable experience of flying over New York City as you never did before. All our pilots are FAA certified and would love to share a passion of flying with anyone who wants to see the world from above. COPYRIGHT © 2015-2019 PASSION AIRPLANE TOURS, INC. ALL RIGHTS RESERVED.